Newberg welcomed a new wine tasting room on Haugen Road off of Highway 99W, one with a rustic feel. Parrett Mountain Cellars, owned by Marlene and Dennis Grant, features a tasting room built from trees harvested on the property. 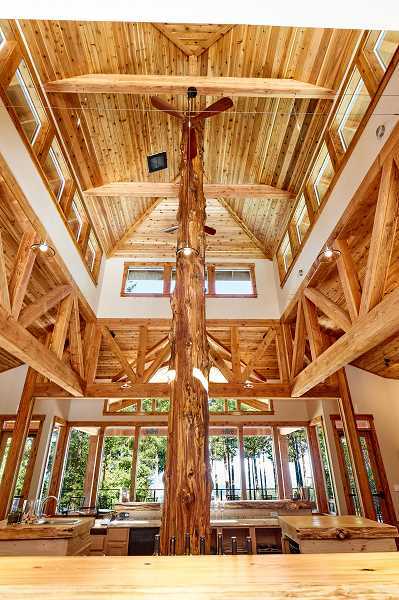 The center of the tasting room also boasts a 28-foot cedar. The tasting room is from noon to 6 p.m. Friday through Sunday and on Monday through Thursday by appointment. They sell flights, glasses of wine, bottles to take home and cheese and charcuterie boards. They also have two local beers on tap, one from McMinnville and one from Sherwood. Capacity in the building is 100 people, and there is parking available for 20 cars, with 20 overflow spots also available. A kitchen is on the site for catering. The space is available for event rental as well. Marlene Grant said the tasting room is "unusual for what's around here," given its wooded and rustic feel. The facility opened in early October, although the Grants have been making wine since 2011. "We decided it was time to build a tasting room," she said. And although it's surrounded by woods, on a clear day Grant said those in the tasting room are treated to a nice view of Mount St. Helens. 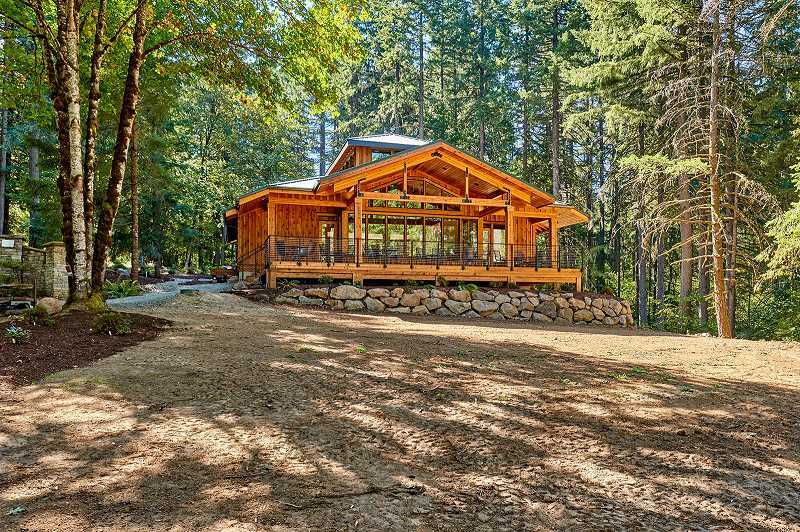 Although they don't have a vineyard there, the tasting room was fitted and designed using wood harvest on the property. The three bars inside are each made of a different kind of indigenous wood: cedar, maple and fir. Grant said the couple got into winemaking when their daughters graduated college and the couple was looking for something to do. Through training with other wineries and researching, they've grown to now producing 15 varietals, specializing in big reds, using about 40 tons of grapes. They do have a small patch of pinot noir grapes of their own, but Marlene Grant said 99 percent of all the wine they produce comes from grapes from other vineyards. The wines spend 20 months in a barrel before going to bottle and their oldest wine is from 2015. "I think it will be a nice place for people to come and relax and enjoy a nice glass of wine and enjoy the view," she said.